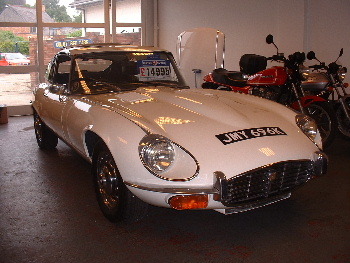 JAGUAR E-TYPE V12 5.3 1972-62,000miles. 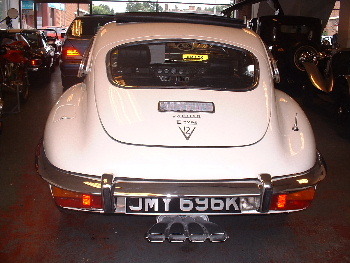 JAGUAR E-TYPE V12 5.3 2+2, Coupe, 1972, 62,000 miles, Old English White. Tax Exempt,Blue Leather,Full Length Britax Sunroof,Power Steering,Excellent Paint and Chrome,New Carpets,Very Good Laether,Last Owner 16 years,Prior to his purchase the car had in excess of £3,000 spent at Lancaster Jaguar,Very Presentable,Mechanically Sound Example of a Classic E-Type being 1 of 1827 built for the home market,Sounds Phenominal and drives superb,Supplied with Valuations/History Folder/E-Type Handbook/Bills/Reciepts and Old MOT's Etc,New MOT and Full Specialist Service upon Purchase.PROMISE NO DISAPPOINTMENTS.